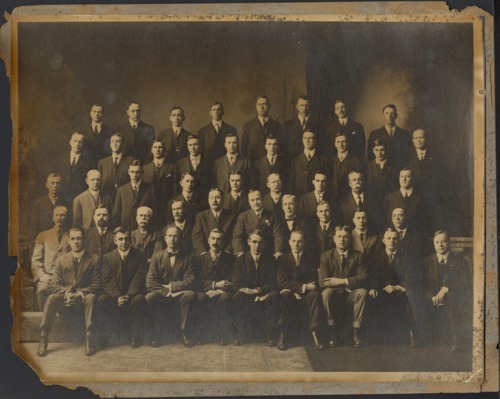 A photograph of Arthur Capper in the front row, fifth from left, sits with what may be a fraternal organization. James H. Allen is sitting in the second row, first from left. Arthur Capper served as Kansas Governor from 1915 to 1919 and as U. S. Senator from 1919 to 1949.